The saga of the hydrogen inclusions in the reactor vessels of the Doel Unit 3 and Tihange Unit 2 reactors in Belgium has, as some may already know, taken another turn; a recent finding has caused the shutdown of these two reactors indefinitely pending results of yet another investigation. The history of these events is roughly as follows: First, during an inspection in which new and sophisticated equipment never used before was employed, what appeared to be defects were found in the reactor vessel at Doel Unit 3. This led to wide speculation about the vessels manufactured by Rotterdam Dockyard, and resulted in this extensive article I wrote for ANS in August 2012. 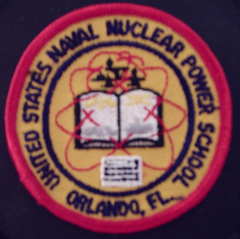 Eventually all US units were cleared of any suspicion, and so were all others elsewhere except for Tihange Unit 2, where similar defects seemed to exist. These were later determined to be caused by hydrogen inclusion in the pressure vessels, and Electrabel (owner of the two nuclear units in question) decided that the units were safe to restart. 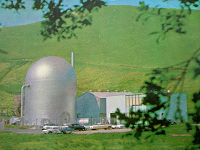 It submitted a restart plan to the Belgian nuclear regulator, FANC, in late 2012. After much back-and-forth between FANC and Electrabel covering short and long term requirements, both plants were allowed to restart in May 2013. What has happened now is that hydrogen flaked reactor pressure vessel test samples which were being irradiated and then tested to demonstrate strength have shown a marked change in material characteristics - for the worse. The two plants were placed in their scheduled outages earlier than originally scheduled, but are now being held shut down by FANC until further notice. What's required now is to repeat these material tests and determine if they're anomalous, or if the material properties of the reactor pressure vessels really are seriously affected by this phenomenon.. and if so, how? In some old US pressure vessels, certain welding designs have caused operators to place highly restrictive operating limits on the plants -- limits which still can be met in plant operation, and the plants have operated safely. Is this the sort of fate that faces Doel 3 and Tihange 2? Or, is a permanent shutdown in the cards? This is impossible to say at this point; Electrabel has stressed that early results of the tests underway don't point up any conclusion as of yet, and that results are due in the fall. More troubling perhaps is the recent shutdown of Doel Unit 4 due to apparent sabotage, when person or persons unknown dumped lubricating oil from the turbine generator under full load. The turbine tripped, which caused a reactor trip as well. The HP or high pressure turbine has been reported to be seriously damaged; no results of inspection of the associated low pressure turbines have been released. It's safe to say that Electrabel and FANC have their hands full at the moment, investigating one serious apparent sabotage event at a nuclear plant (even though that event was highly unlikely to have led to any reactor fuel damage) and two cases of possible, yet undetermined, degradation of reactor pressure vessels' integrity. We await the outcomes of the two investigations and will report on those here when they're known. 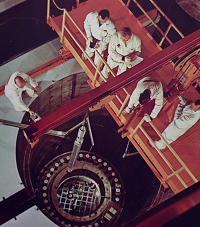 Turbine generators have traditionally been the largest and most expensive single pieces of equipment installed at nuclear plants (WASH 1174-71, US AEC 1971.) These are shipped to the site in large sections, and assembled on top of a large steel reinforced concrete turbine pedestal. A typical turbine generator set for a US 1000 MWe nuclear plant has one high pressure turbine and three low pressure turbines (all mounted on a single, linear, sectional shaft) and runs at a constant 1800 RPM. In years past, growth of nuclear plants' output was perceived to be limited by the growth in turbine generators, because the single piece forgings required for the low pressure turbine rotors were the largest single piece forgings being manufactured anywhere. The AEC's 1968 report WASH 1082 stated that, at that time, the largest single forging available in the US for use as a turbine rotor was 175 tons but 190 ton forgings for large 1000 MWe turbine generators were going to be required - but also noted that these forgings were ONLY used for nuclear plant turbine generators, thus presenting an investment risk to companies choosing to develop and install such equipment as was required to make these parts. The former Soviet Union avoided this problem (and others relating to turbine blade length) by installing two, half-capacity turbine generators at many of its earlier nuclear power plants; in later years, it developed single 1000 MWe-plus turbine generators. 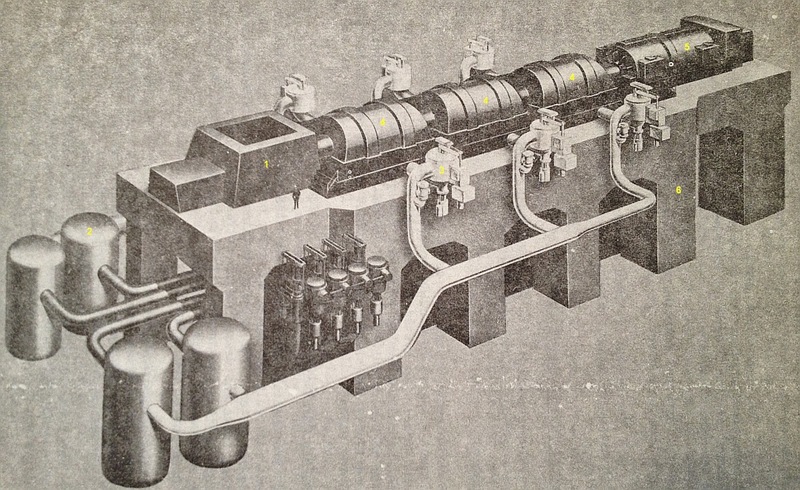 Below, a typical General Electric 1000 MWe turbine generator with parts listed in key below illustration. Westinghouse units, and in fact all other types (Siemens-Allis, Brown-Boveri, GEC) are broadly similar overall. 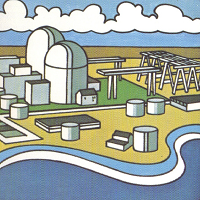 Key: Steam from the nuclear power plant's NSSS (Nuclear Steam Supply System) which is not shown is first piped to the HP or High Pressure turbine, (1). After expanding through and driving this turbine, the steam exhaust is routed out from under this turbine to four moisture separators (2). After having any water removed (due to condensation) this steam is then routed down the sides of the turbine generator through pipes and six large stop valves (3) to the three identical LP or Low Pressure turbines (4). The four turbines are driving the generator (5). The entire assembly is supported by an enormously heavy and strong turbine generator support structure, (6). Note the figure of a man standing next to the HP turbine for scale. 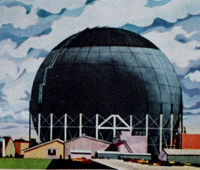 A turbine generator as shown here, not including the support structure or moisture separators, is roughly 220 feet long, 23 feet wide and weighs approximately 5100 tons (The Nuclear Industry 1969, US AEC.) Newer turbine generators actually include moisture separator / reheaters between the HP and LP stages to reheat the steam before it enters the LP turbines. This illustration is thus what we call a "straight" or "non-reheat" turbine generator. The output of this turbine generator is roughly 1000 MWe, or about 1,341,000 horsepower. Turbine generators at light-water-cooled reactor nuclear plants are much larger per MW of output than those at fossil fired plants; fossil plants produce steam at much higher temperatures (superheated) and thus can employ smaller and faster running turbine generators for a given output than nuclear plants. Gas cooled, organic cooled and sodium cooled reactors can, however, produce this highly superheated steam and so would theoretically save size and cost on turbine generators. Item: In some areas of the world, such as parts of Japan (but not all of it) the electric distribution system uses 50 Hz and not 60 Hz frequency. In those instances, the turbine generators at nuclear plants are a slightly different design and are built to run at 1500 RPM and not 1800 RPM.